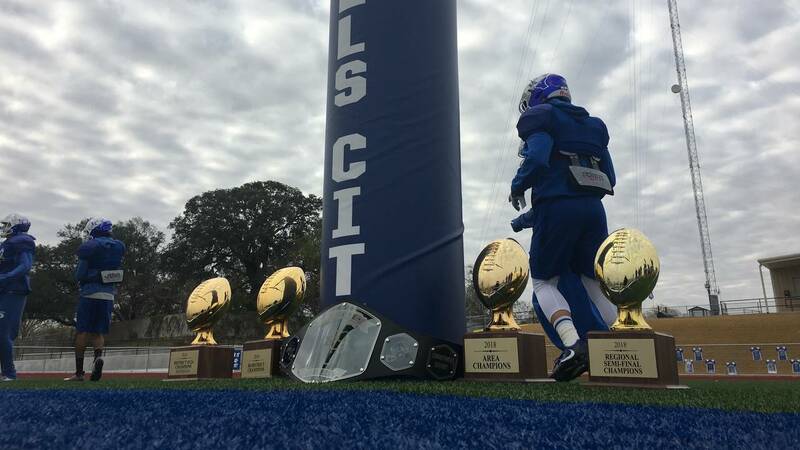 FALLS CITY, Texas - Thursday night brings a lot of familiarities for the Fall City Beavers. The Karnes County 2A Division II powerhouse is no stranger to the bright lights of a deep playoff run and no stranger to the team standing its way: the Burton Panthers. Thursday night's state quarterfinal game at the Alamodome will be the seventh time in the past 10 seasons that the Beavers and Panthers have met in the playoffs. Both programs have taken three of the previous six meetings. Falls City (13-0) and Burton (11-2) kick off Thursday at 7 p.m. at the Alamodome. The winner will face either Muenster or Mart in the state semifinals.